We are indulged in providing Unskilled Labour Services to our clients. This segment of labour are the less technical segment of the workforce who do not need a lot of training. Client can avail these services at pocket friendly prices. 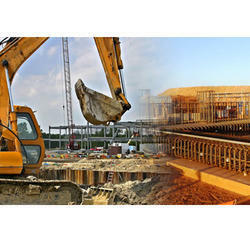 We have completed many building projects. Owing to the years of experience in this domain, we are indulged in rendering Skilled and Unskilled Labour to our clients. Our company holds vast Resources in this domain and is involved in providing Unskilled Labour Service.